Hibiscus is a soft floral note with a musky undertone. 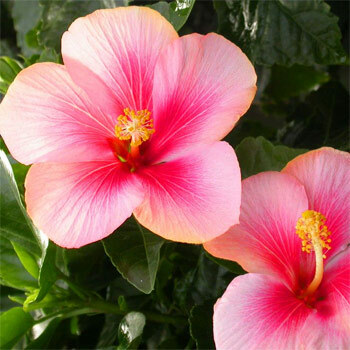 The hibiscus plant is distinguished by its large trumpet-like flowers that appear in a range of vibrant colors: pink, red, orange, purple and yellow. It is quite large, containing several hundred species that are native to warm-temperate, subtropical and tropical regions throughout the world. Member species are often noted for their showy flowers and are commonly known simply as hibiscus, or less widely known as rose mallow.